Welcome to the Audio-Video Barn! 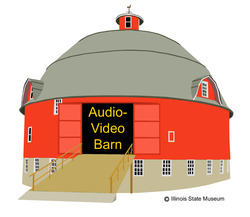 The Audio-Video Barn is full of stories about Illinois agriculture. 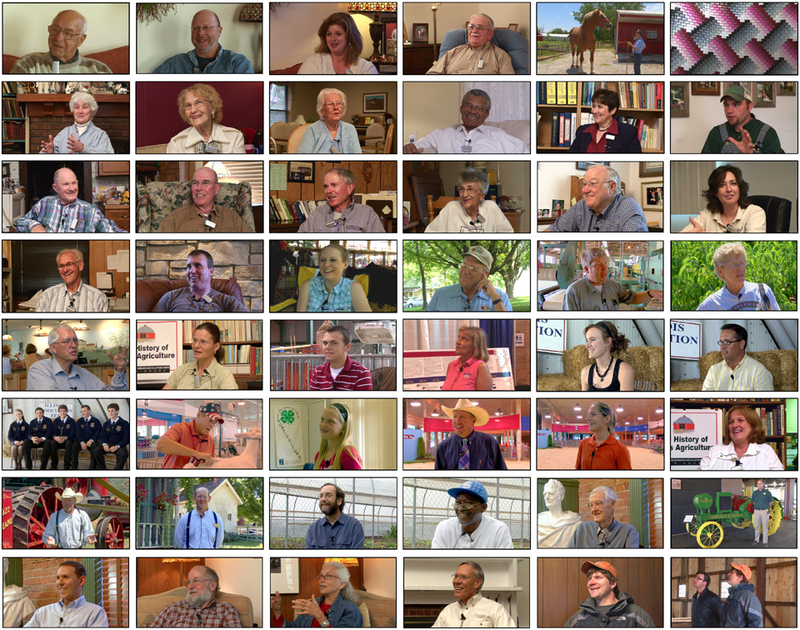 It contains audio and video recordings of more than 130 oral-history interviews with people involved in agriculture and rural life in Illinois. 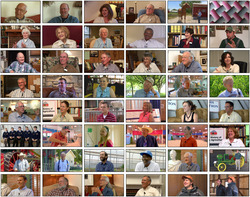 It was produced by the Illinois State Museum's award-winning Oral History of Illinois Agriculture (OHIA) project. The OHIA project was generously supported by a National Leadership Grant from the federal Institute of Museum and Library Services (IMLS). Hear - audio oral-history interviews from the 1950s-1990s (People page). See - video oral-history interviews recorded in 2007-2009 (People page). Locate - interviews in the Audio-Video Barn by county location (Map page) or by archive collection (Collections page). Find - interview clips that interest you by searching the Audio-Video Barn for topics, names, dates, or named places (Clip Search page). Look - at images of farming from the 1890s to today (Picture Gallery page) Also access a gallery on each interviewee's People page.. Learn - how to do oral history (Doing Oral History page). Teach - with the Audio-Video Barn in the classroom and at home (Activities page). Peek - behind the scenes to discover how the Audio-Video Barn was created (About This Site page). Navigate - the Audio-Video Barn with help of the User's Guide (User's Guide page). Need Help? - find answers to your questions (Frequently Asked Questions page).